The Canon L360 laser fax is a fast, multifunctional and budget printer made for the use of home offices, corporate departments and small businesses. The printer is monochrome laser type with a semi-industrial appearance and design that makes it suitable and easy to integrate into any office environment.The printer is compact in size with 15 inch wide frame but it is quite heavy with the weight of 13 kg.This makes it quite difficult to move, lift and set up. It uses laser print technology with maximum printing resolution of 600 X600 dpi and print speed of 6ppm. With the help of the 2-line, 20-character display screen, users can easily operate the device. The input tray can handle up to 350 sheets and the document feeder can accommodate up to 30 sheets. Although colour faxing is not supported, fax standard is the latest Super G3 which offers a relatively fast 33.6Kbps transmission speed. It makes the printer a robust machine. The Canon L360 toner cartridges are easy to use and replace. It produces crisp, finely detailed text with fine lines. The Canon L360 fax machine, with a PC connection option, is suitable enough to be used as a printer for basic business correspondence and documents. 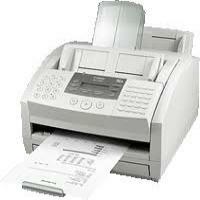 This multi-function fax machine also has space-saving feature that adds to its functionality. However, the printer is quite heavy and has limited telephony features. Q. I have lost the original bag that came with Canon L360 toner cartridges (compatible). I have to send my printer for service but don’t know how to store the cartridges at that time. Please advise. A. If you can’t find the protective bag to store your cartridge in, you can use a clean, thick cloth in its place. Wrap your cartridge in a thick cloth as soon as you take it out of the printer. This way your toner cartridge will be safe from damage till you insert it back in the printer. Cartridges have to be protected and kept from being exposed in the open even for a few moments. Q. I have to print a lot of fax messages for work. Will compatible Canon L360 toner cartridges be advantageous for me? A. Yes, Canon L360 toner cartridges are ideally suited to print fine quality fax messages besides documents at low cost. Opting for compatibles naturally reduce the price further while maintaining the quality of output. Q. My printer’s Canon L360 toner cartridges have been making some unusual noises of late. I haven’t opened up my printer to check what’s happening and thought of seeking opinion first. What should I do? Please help. A. Please unplug your printer immediately and contact support on canon help line or speak with an authorised Canon dealer. You’ve done the right thing by not opening or disassembling the printer yourself. Canon’s professional support will assess the situation and resolve it. Q. Can I opt for Canon L360 toner cartridges to print important documents and images that last long? A. Yes, text documents and images printed by these toner cartridges have a very long shelf life. You can certainly count on them to print crucial information in any form, be it text documents or images that you wish to preserve for long. Q. Is the Canon L360 printer user-friendly and can I install it without any outside help? A. The installing instructions for every printer are written in an easy to understand the way in their respective instruction manuals. So yes you can easily install the printer without any outside help. The instructions for installations are also available online in Canon’s website. Q. Does the Canon L360 printer come with inks? A. Yes, the company provides quality Canon L360 toner cartridges along with the printer, you do not have to buy them separately. Q. Why I should buy products from this site? Do you offer any guarantee for the products supplied? A. At Printerinkcartridges.ie, everything we sell is covered by 100% satisfaction guarantee, low prices promise guarantee and fast delivery services. If you are a new customer and buying for the first time from this site, you will be entertained with the 5% discount on the products purchased. Also, with the value-added services, you can be assured of the quality supplied. Other than Canon toners we do stock leading brands’ ink and toner cartridges viz. HP, Epson, Brother, Advent, Samsung, Kodak, Lexmark, OKI and more. Q. Do these compatible Canon L360 toner cartridges leak or dry up if not frequently used? A. Any cartridge that is not used frequently, would dry up. It is advisable to at least use the printer once every month to ensure the flawless working of the printer. Q. How Canon L360 printer proves to be cost-effective in nature? Can I use it for home office or small business purpose? A. The Canon L360 includes an economy printing mode which allows you to reduce the overall toner consumption by 30% to 40% approximately. Thus its budget-friendly nature makes it convenient to be used for small office purpose. Q. Do you recover Canon L360 toner cartridges damaged during transit? A. Yes, we offer an immediate refund or replacement in case if your order is damaged during transit. In this case, immediately contact our team and retain the original packing for your order.